There are 56 unlogged users and 0 registered users online. MGMT premieres their video for "Flash Delirium." DAVID BYRNE & FATBOY SLIM are advance streaming Here Lies Love via NPR. WYE OAK played a Tiny Desk Concert at the offices of NPR. THE BLIND BOYS OF ALABAMA did the four free songs thing for Daytrotter. ROKY ERICKSON & OKKERVIL RIVER drop a new version of "Be and Bring Me Home" from their collaboration. BIG STAR drummer Jody Stephens and Ardent studio owner John Fry talked to indie musician John Davis for the (for now) defunct WOXY in February. 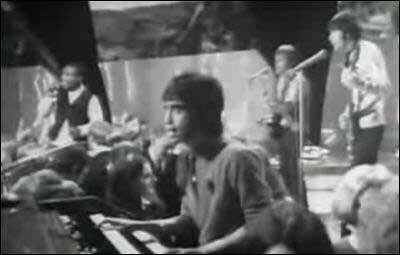 A good excuse to watch Alex Chilton "Make a Little Love" on French TV. SLEIGH BELLS are profiled by BBC1, with embedded audio. Described there as for fans of MIA and MGMT, but it's at least as distorted as early JAMC to boot. PEARL JAM: Stone Gossard talks to Reuters about reducing the band's carbon footprint. 50 AWESOME MUSIC MOVIES, compiled by NME. LADY GAGA: The self-invented, manufactured, accidental, totally on-purpose New York creation of the world's biggest pop star. SANDRA BULLOCK & JESSE JAMES: Sandra has decided to divorce Jesse, according to RadarOnline. So it makes sense that Bullock isn't aiming to become a legal parent to her husband's three kids. Mistress No. 4 won't go public, but we have high hopes for Mistress No.5. Maybe that's the number that sends James to rehab. TIGER WOODS: Former mistress Joslyn James plans to be at The Masters next month, to, you know "get the truth out there." LINDSAY LOHAN responded to being snapped with clouds of white powder pumping out of her high-heels by attacking George Lopez. HEATHER MILLS's former nanny has told an employment tribunal she was made to work long hours without extra pay. Mills claims she's the victim. HEIDI MONTAG & SPENCER PRATT deny rumors that she had moved out of their home that popped up just in time for the final season of The Hills. MISCHA BARTON had a rough night over the weekend in Hollywood. HANGOVER 2 deals are lcoked in for Zach Galifianakis, Bradley Cooper, Ed Helms and director Todd Phillips. INDEPENDENCE DAY sequels may shoot in 2011. IRAN is poised to begin producing nuclear weapons after its uranium program expansion in 2009, even though it has had problems with thousands of its centrifuges, according to a newly released CIA report. AFGHANISTAN: The coming US campaign in Kandahar will focus on reforming the city's predatory, corrupt government. IRAQ: Iyad Allawi, the man who won Iraq's parliamentary elections, has accused Iran of trying to prevent him from becoming prime minister. The Justice and Accountability Commission said a number of Allawi's bloc should have been barred from running due to alleged ties to Saddam Hussein's Baath party. TROLOLO CAT: Let's go to the video. A CAT has been appointed an unofficial police officer in a Chinese city where it joins officers on patrol. ELEPHANTS walk like Land Rovers, according to scientists. POODLE nurses orphan SQUIRRELS... Mass hysteria! BECK is joined by Liars, St. Vincent and Os Mutantes' Sergio Dias on "Guns in the Sky," the first track of his cover of INXS's Kick LP. NEW RELEASES: Dum Dum Girls, Holly Golightly and the Brokeoffs, the Jon Spencer Blues Explosion and more are streaming this week via Spinner. SHARON JONES & THE DAP-KINGS are advance streaming I Learned the Hard Way via NPR. Plus, Ms. Jones is profiled by New York magazine. DR. DOG is advance streaming Shame, Shame via NPR. THE HOLD STEADY dropped "Rock Problems" as another advance track to Heaven is Everywhere. NEW PORNOGRAPHERS dropped "Crash Years" as an advance track in their Facebook music player. JONSI, the singer for Sigur Ros, is advance streaming Go via NPR. 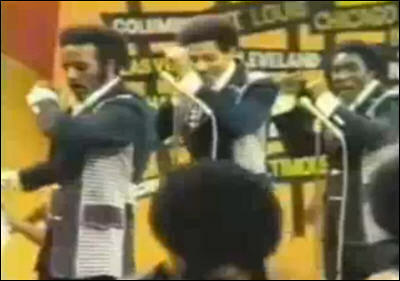 THE FOUNDATIONS: "Build Me Up, Buttercup" and "Baby, Now That I Found You" are your Twofer Tuesday. THE WORST "BEST" CLASSIC ROCK SONGS,according to Michele Catalano. SPOON: Britt Daniel and Jim Eno talk to The Quietus about whether they read their own press cuttings and if they're too American for British audiences. JULIAN CASABLANCAS talks to the Globe and Mail about his first solo effort, <i itxtvisited="1">Phrazes for the Young. THE LIBERTINES are reuniting for Reading and Leeds festivals in August, according to several media reports in the UK. SANDRA BULLOCK and JESSE JAMES: America's sweetheart is back in California -- but not at home -- in order to figure out the legal end of her split from the allegedly infidelious bike builder. LINDSAY LOHAN was leaving a friends house in Los Angeles on Saturday when a generous amount of unidentified white powder started puffing out of her shoes. Some police officers who routinely come in contact with Lindsay tell TMZ they have thought seriously about forcing her to get help. TIGER WOODS: Oddly enough, Elin Nordegren isn't keen on the idea of attending the Masters. KATE WINSLET sounds desperate to escape the "house-of-horrors" Manhattan apartment she shared with Sam Mendes. MATT DAMON was roasted in Beverly Hills for the 24th American Cinematheque Award. But none of the jokes seem to have mentioned his latest movie, which the public is avoiding like a toxic waste dump. MARIA CONCHITA ALONSO writes an open letter to Sean Penn about his support for Hugo Chavez. BTW, last week, Chavez arrested the owner of Venezuela's only remaining anti-Chavez TV channel. The State Department has said harassment and intimidation of the opposition and the media are on the rise in Venezuela. GODZILLA is stomping back to the big screen, with help from Legendary Pictures ("The Dark Knight," "300" and "The Hangover"). THE TUDORS: Episode 401 is online. TERROR in RUSSIA: Female suicide bombers set off huge explosions in two subway stations in central Moscow during the Monday morning rush hour, Russian officials said, killing more than three dozen people and raising fears that the Muslim insurgency in southern Russia was once again being brought to the country's heart. OUR FRIENDS, THE SAUDIS are pouring hundreds of millions of pounds into Islamist groups in the Balkans, some of which spread hatred of the West and recruit fighters for jihad in Afghanistan. IRAN's nuclear program is of "critical concern" and will top the agenda when foreign ministers from the G-8 nations meet Monday to discuss global security. 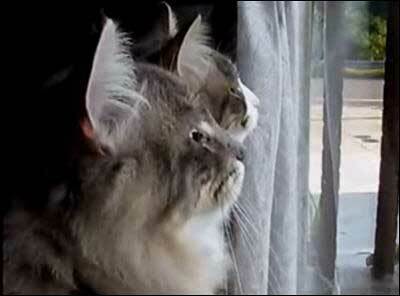 CHATTERING CATS: Let's go to the video. And the translation. A ROYAL PYTHON is giving massages to visitors at a British theme park. PIT BULLS and POLICE CARS: A pit bull mix in Tennessee has been sentenced to obedience training after his dogged attack on a local police car. A New Jersey pit bull is on probation after ripping the bumper off a police car and chewing the tires on three other cars flat as two other dogs barked and wagged their tails. 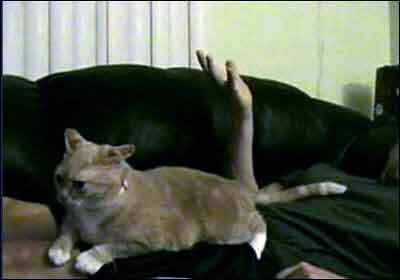 AND NOW FOR SOMETHING COMPLETELY DIFFERENT: Two cats with six toes on each paw. 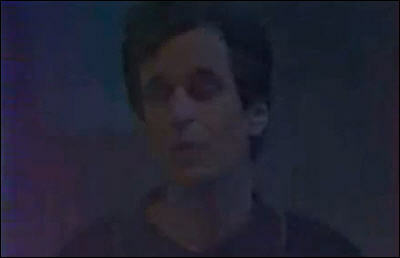 LAURA MARLING released "Rambing Man" as a video from her I Speak Because I Can album. TEGAN & SARA stopped by Minnesota Public Radio's UBS Forum for a live performance in front of a studio audience. SLOAN stopped by Oregon Public Broadcasting for a chat and mini-set in audio and video. FYFE DANGERFIELD of the Guillemots stopped by The Current for a chat and mini-set streaming via MPR. THE LOW ANTHEM stopped by Morning Becomes Eclectic for a chat and mini-set. 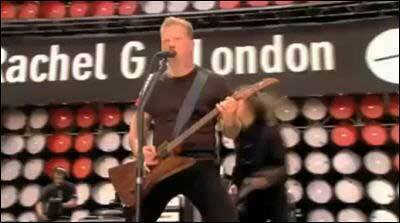 METALLICA: "Enter Sandman," the soft jazz version. Derek Smalls wrote this. COMMANDER CODY is profiled by NPR's Weekend Edition Sunday. HALL & OATES: The Boston Globe surveys the duo's commercial and critical renaissance. ABBA reunion rumors get rolling. WEEKEND BOX OFFICE: How To Train Your Dragon is No. 1 this weekend with 43.3 million -- but I think the gurus tended to project this as making over 60 million (roughly where Monsters vs Aliens opened), so this may be disappointing. Alice in Wonderland placed with 17.3 million -- another 49 percent drop, but perhaps helped by the Dragon weakness. Hot Tub Time Machine -- which many thought would be No.2 -- showed with 13.7 million. That's probably disappinting, but a 36 million budget plaus DVD sales will likely end this story with a smile. The Bounty Hunter drops to fourth place and has almost recouped its production budget (though the studio likely sees only 55 percent of that). Diary of a Wimpy Kid tumbles from second to fifth with 10 million, but has already made 35.8 million on a 15 million budget. Below the fold, Green Zone continues to flop spectacularly (30.4 million so far with a 100 illion budget). LINDSAY LOHAN: "If she doesn't get help soon, she's going to die." MALEFICENT may be played by Angelina Jolie, which would be exactly right. LIZ HURLEY: The model has gone from arm candy to fruit-bar manufacturer. Enter her terribly cut-throat countryside business empire. ORSON WELLES is headed back to the big screen, through the magic of technology. CHLOE SEVIGNY apologizes for calling the last season of her show, Big Love, "awful." KATY PERRY was hosed with the Nicolodeon's signature bright green slime at the Kids' Choice Awards. TOY STORY 3: Meet 6 new characters. AFGHANISTAN: Pres. Obama pressed Afghan Pres. Karzai to take serious steps against corruption and drug trafficking on Sunday, in an unannounced trip-his first as commander in chief-to the site of the war he inherited and has stamped as his own. IRAN: Six months after the revelation of a secret nuclear enrichment site in Iran, international inspectors and Western intelligence agencies say they suspect that Tehran is preparing to build more sites in defiance of UN demands. IRAQ: The secular party of Ayad Allawi, a former interim prime minister once derided as an American puppet, won a wafer-thin victory in Iraq's election, setting the stage for a protracted period of political uncertainty and possible violence that could threaten plans to withdraw American troops. At least four Sunni Muslim candidates who appear to have won parliamentary seats on the winning ticket of secular leader Ayad Allawi have become targets of investigation by security forces reporting to the narrowly defeated Iraqi Prime Minister Nouri al Maliki, according to interviews Saturday with relatives, Iraqi security forces and the US military. Either way, the election was a stunning defeat for Iran and its spymaster, Qassem Soleimani, who commands the Quds Force of the Revolutionary Guard Corps. Soleimiani had spent millions trying to stop an Allawi victory. 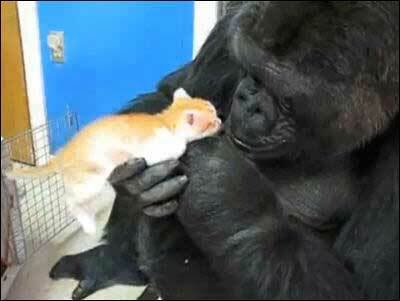 KOKO the GORILLA gets visited by kittehs... Mass hysteria! OPOSSUM not playing opossum confused a drunken Samaritan. RUNAWAY COYOTE corralled in NYC's TriBeCa neighborhood. GRIFFY the GRAFFE likes to get his head petted... until he doesn't. THE FLAT-HEADED CAT, the world's least known feline, is now endangered, too. SHE & HIM stopped by Morning Becomes Eclectic for a chat and mini-set. LAURA VEIRS stopped by the World Cafe for a chat and mini-set. THE MORNING BENDERS get a twofer at the World Cafe. ROBERT POLLARD: Aquarium Drunkard spotlights "Silk Rotor" and "I Can See" from Mr. Songs-a-million's first LP of the year. EL PERRO DEL MAR stopped by the World Cafe for a chat and mini-set. 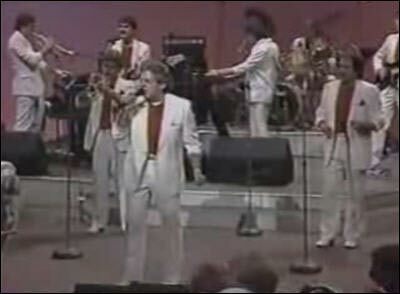 JOHNNY MAESTRO, the voice powering classics from The Crests' "16 Candles" to Brooklyn Bridge's "The Worst That Could Happen," passed away from cancer at 70. TEGAN & SARA: The latter answers five questions for the Detroit Free Press. TIFT MERRITT talks to the Fayetteville Observer about her North Carolina roots. THE COATHANGERS, earning "comparisons to everything from Death From Above 1979 to Teenage Jesus & the Jerks to a more jaded, pissed-off Toni Basil," are profiled by the San Antonio Current. MUSIC REVIEW BINGO, courtesy of Flavorwire. CUTOUT BIN: From the Young Fresh Fellows to KISS, from Patsy Cline to Jimi Hendrix, from the Black Keys to White Denim, from Zooey Deschanel to the Zombies, plus REM, BT Express, Wall of Voodoo, Dusty Springfield and more -- is streaming from the Pate page at the ol' HM. NOW SHOWING: This weekend's wide releases are How to Train Your Dragon, currently scoring 94 percent on the ol' Tomatometer; and Hot Tub Time Machine, which is scoring 70 percent. SANDRA BULLOCK and JESSE JAMES: Meet Mistress No.2 and No. 3. Twisting the knife, James' ex-wife does not want his marital problems to get in the way of the relationship her daughter shares with Sandra Bullock. REGGIE BUSH, Kardashian's on-again off-again boyfriend, is the latest star to become embroiled in a cheating scandal, after being linked to January Gessert. LINDSAY LOHAN who recently announced she's clear of drugs and booze, stumbled out of a LA house party on her killer heels, slurring at photographers. MISSION IMPOSSIBLE 4 might be directed by... Brad Bird? BUCK ROGERS is headed to the big screen in 3-D.
OUR FRIENDS, THE SAUDIS announced arrests of 113 alleged al Qaeda-affiliated terrorists whom it claims were planning attacks against oil facilities. IRAN: Russia's foreign minister said his country may support additional sanctions against Iran -- as a way of getting the US to soften sanctions. The Russian oil company Lukoil will stop work in Iran due to US sanctions. OSAMA BIN LADEN threatened to murder Americans if Khalid Sheikh Mohammed is convicted in a US court and executed. 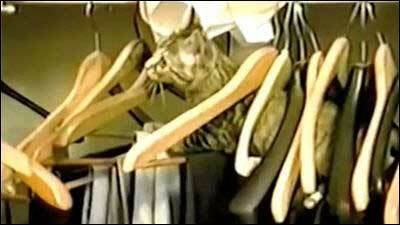 CAT IN A CLOSET: Let's go to the video. AN AMOROUS GOOSE holds a woman hostage in Illinois. THE MIRACLE OF LOVE for an injured stork. BOOZY BABOONS raid South Africa vineyards to snack on chardonnay grapes. 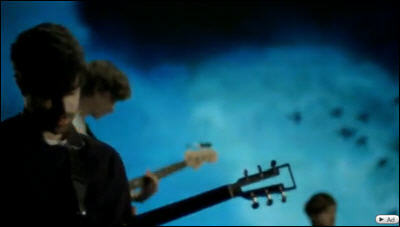 FOALS drop a new video for "This Orient," which I prefer to the last one, "Spanish Sahara." THE NATIONAL debuted "Bloodbuzz Ohio" on the BBC as an advance track to High Violet. BLITZEN TRAPPER drops "Heaven and Earth" as an advance track to Destroyer of the Void. BROKEN SOCIAL SCENE are streaming three advance tracks -- "Forced to Love," "All to All" and "World Sick" -- from the upcoming Forgiveness Rock Record. TED LEO and the PHARMACISTS stopped by The Current for a chat and mini-set streaming via MPR. THE TEMPER TRAP also stopped by The Current for a chat and mini-set streaming via MPR. SPRING 2010 MUSIC PREVIEW, courtesy of Metacritic. THE STROKES are recording without Julian Casablancas. LED ZEPPELIN refused another reunion offer. SANDRA BULLOCK and JESSE JAMES: A high level, female executive with West Coast Choppers settled a sexual harassment lawsuit against Jesse James and West Coast Choppers for more than 700K in 2007, while he was married to Sandra Bullock. James cheated on Bullock with other women besides tattoo model Michelle McGee, multiple sources tell the new Us Weekly. His ex-wife Janine Lindemulder claims he's a "chronic cheater." But he is hoping for a reconciliation. TIGER WOODS: Meet claimed mistress No. 15, "adult entertainer" Devon James. DENNIS HOPPER is extremely ill and nearly broke, according to papers filed in his divorce proceedings. KATHERINE HEIGL confirms that she is leaving Grey's Anatomy. PAULA ABDUL is in talks to headline a new reality series set in the world of flash mob dancing. ROBERT CULP, whose signature roles were on two especially heroic television shows, "I Spy" and "The Greatest American Hero," has died after a fall at his home. He was 79. MALEFICENT: Having scored a hit with "Alice in Wonderland," Disney and screenwriter Linda Woolverton are teaming for a live-action take on the evil queen in the 1959 animated classic "Sleeping Beauty." Doesn't this sound like Disney's version of "Wicked"? IRAN: US Army Lieutenant Colonel Edward Sholtis announced on Monday that elements within Iran are training Taliban fighters on Iranian soil. AFGHANISTAN: A former Guantanamo detainee transferred from the detention facility to Afghanistan on Dec. 19, 2009, has already returned to the Taliban's ranks, according to multiple intelligence officials contacted by the Long War Journal. IRAQ: Members of the State of Law Alliance said Iraqi National Movement leader Iyad Allawi is constitutionally ineligible to be the next Prime Minister as his mother is not an Iraqi. Political leaders in nine provinces requested a manual recount of the vote. 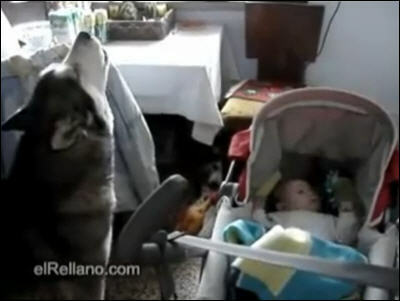 A WOLF DOG sings a lullaby. ORPHAN MEERKATS: A year in the life. ANIMAL THIEVES stole 16 to 20 roosters and hens, a 20-pound Flemish giant rabbit and a miniature stallion in Townshend, VT.
A CHINESE HEN has produced a soft-shelled egg in the shape of a figure eight.